Celebrating 50 years in business, Moira-based Allen Logistics NI Ltd is driving forward with substantial growth in the transport industry. The company has employed an additional 22 new members of staff within the last six months and increased their warehousing capacity to 60,000 sq ft on their four acre site. 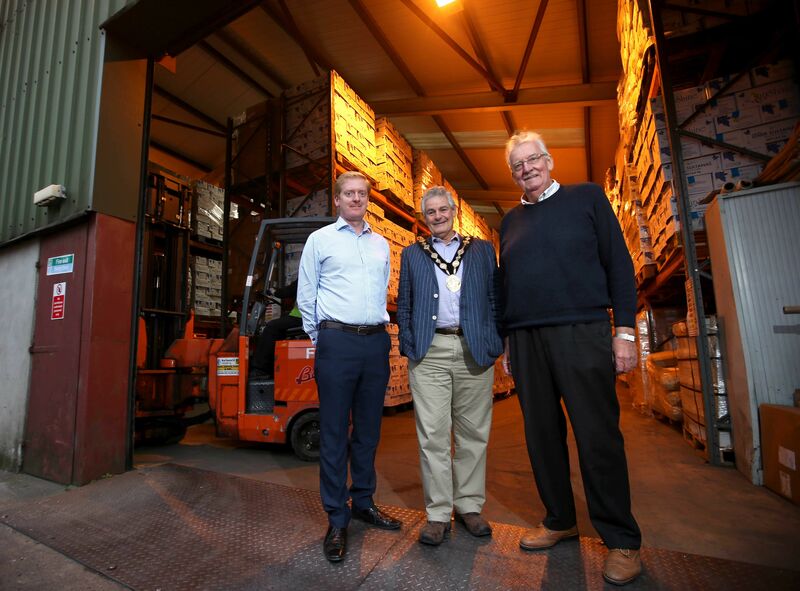 At a recent visit to the award-winning company, Lisburn & Castlereagh City Council discussed the milestones that have placed Allen Logistics as the number one pallet distributor in Northern Ireland. “Looking to the future, Allen Logistics NI Ltd is keen to continue to explore new aspects of the transport industry in order to grow over the next 50 years, whilst still maintaining those all-important service lead values”, he continued. The Council delegation met with Allen Logistics as part of its ‘Made in Lisburn Castlereagh’ visits and the Council’s wider invest programme. The aim of the visits are to profile local businesses, as well as an opportunity to discuss the key issues that are important to the individual business. The Council has always enjoyed strong links with the business sector and these visits will strengthen this even further. If your business is in the Lisburn & Castlereagh City Council area and would like to take part in a ‘Made in Lisburn Castlereagh’ business engagement visit contact the Council’s Business Solutions team on Tel: 028 9244 7390.